Wind Mill’s Metal Series slatwall provides a range of metal options, whether you choose our standard slatwall with a Brush Aluminum Melamine finish or move up to DecoMetal HPL with its lustrous color and sheen with textures reflecting energy. You will experience the craftsmanship and strength Wind Mill slatwall and display panels has been known for. Our exclusive AnchorTM Core is 50% stronger than slatwall made with medium density fiberboard (MDF) core. 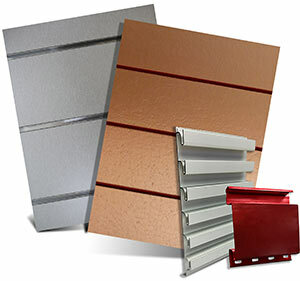 When the need arises for a solid Aluminum or Steel slatwall solution we have that covered as well. Aluminum and Steel slatwall offer an interlocking system that forms a continual wall of metal without visible fasteners or horizontal seams. For additional visual merchandising appeal, various slat finishes and colors can be combined to create an eccentric mix. Contact our expert Project Manager for assistance selecting the perfect Metal Series solution. 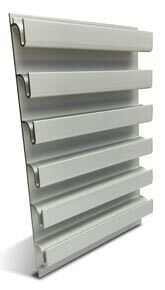 Wind Mill Standard Slatwall is available in Brushed Aluminum. This attractive TFO gives the appearance of real brushed aluminum metal at a fraction of the cost, while providing a durable metal look. Add milled aluminum T-sertsTM to complete the look of a metal wall of while adding considerable strength. 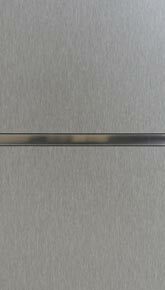 Standard Slatwall panels measure 48”H x 96”L x ¾”W with the grooves running either the entire length or height of the panel, evenly spaced 3” on-centers. 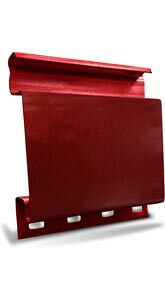 Manufactured with our exclusive Anchor™ Core, or MDF (medium density fiberboard). 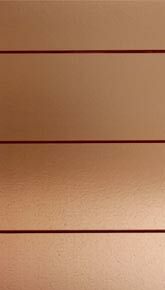 DecoMetal HPL is a real metal laminate that comes in a wide variety of metals and textures. DecoMetal delivers lustrous color and sheen with textures reflecting energy, modernity and a feel for craftsmanship. Complete the design treatment with milled aluminum or custom finished T-SertsTM. Aluminum slatwall is LEED certified.